The upper floor of this candy-colored school in the city of Salamanca, Spain, disappears into the sky. 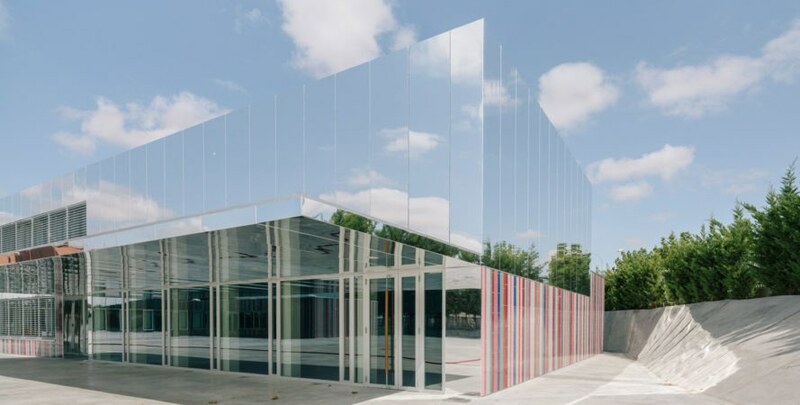 Locally based design studio ABLM Arquitectos used mirrored panels to make the upper floor “almost invisible,” while covering the lower story with playful ceramic stripes. The school is located in a neighborhood on the periphery of Salamanca, which is going through a process of industrialization. Its playful design contrasts this trend, with stripes of colors introducing an element of fun and ease into the area. The entrance canopy is covered in the same material as the upper floor of the building. 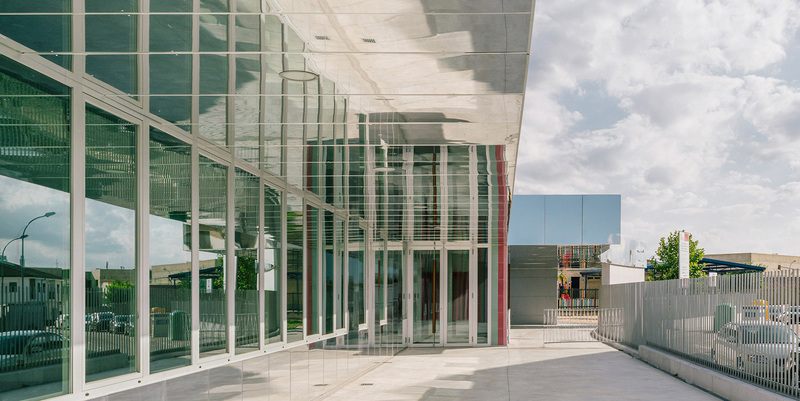 This dematerialization of the structure is achieved thanks to the use of mirrored panels of composite aluminum. Another intent in using reflective materials is to reflect the surroundings and visually reduce the scale of the building. Spanish ceramicist Toni Cumella chose the colors for the lower level, deciding on a wide spectrum of colors–from pink to maroon and green. The interior contrasts the façade and features neutral colors and materials. 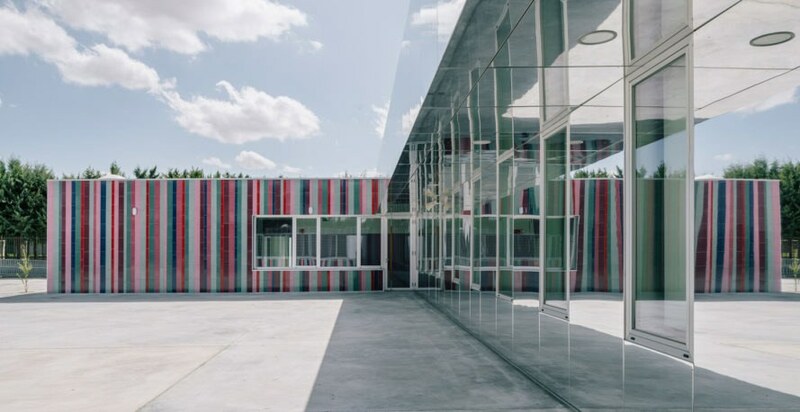 “The almost invisible school proposes a reflection on the domestic scale of this kind of infrastructures, where the little ones must find spaces that they can catch, and places with which they can dream,” said architects Arturo Blanco and Laura Martínez of ABLM Arquitectos. 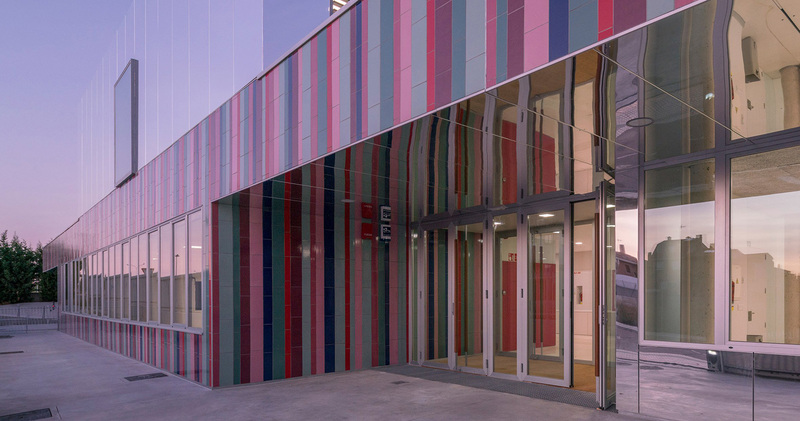 The upper floor of this candy-colored school in the city of Salamanca, Spain, disappears into the sky. 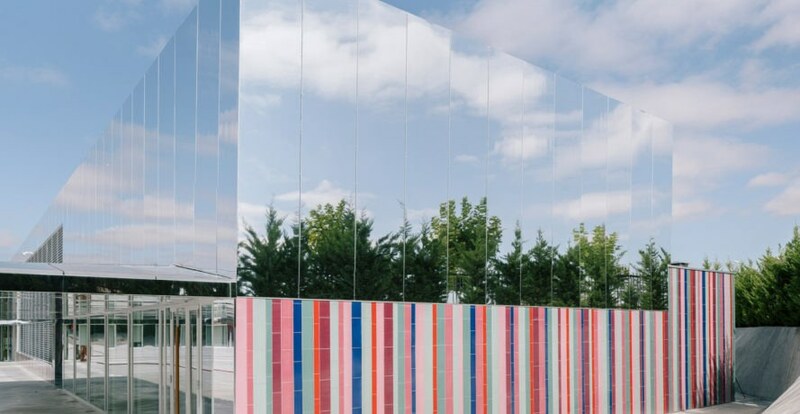 Locally based design studio ABLM Arquitectos used mirrored panels to make the upper floor “almost invisible”, while covering the lower story with brightly colored ceramic strips. The school is located in a neighborhood on the periphery of Salamanca, which is going through a process of industrialization. This dematerialization of the structure is achieved thanks to the use of mirrored panels of composite aluminium. The entrance canopy is covered in the same material as the upper floor of the building. Its playful design seems to contrast this trend, with strips of colors introducing an element of fun and ease into the area. 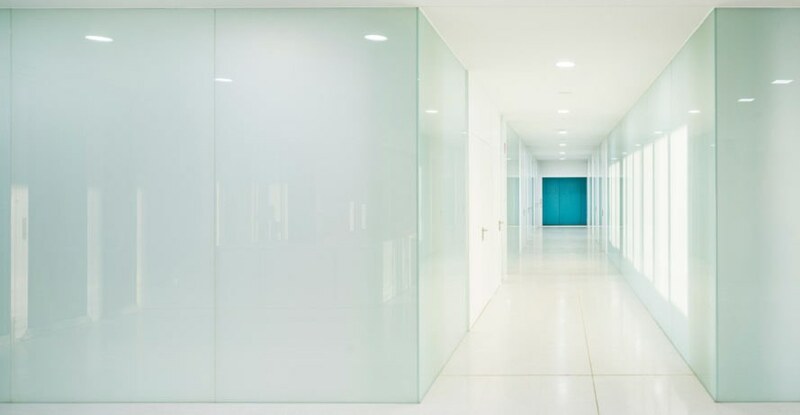 Another important intent in using reflective materials is to reflect the surroundings and visually reduce the scale of the building. Spanish ceramicist Toni Cumella chose the colors for the lower level, deciding on a wide spectrum of colors–from pink to maroon and green. The interior contrasts the façade and features neutral colors and materials. 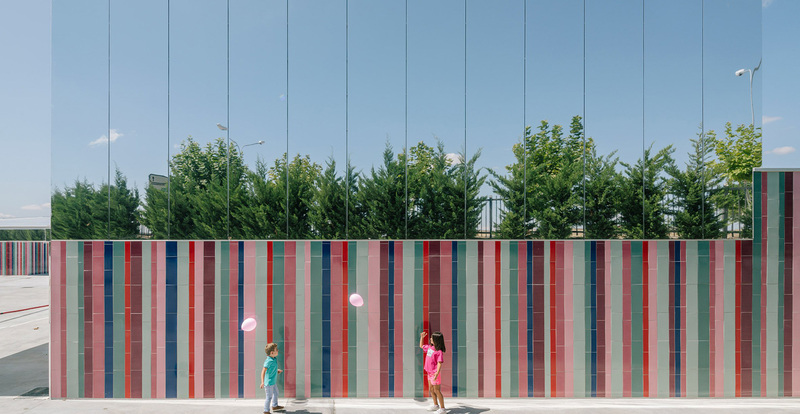 "The almost invisible school proposes a reflection on the domestic scale of this kind of infrastructures, where the little ones must find spaces that they can catch, and places with which they can dream," said architects Arturo Blanco and Laura Martínez of ABLM Arquitectos.